Notice No. 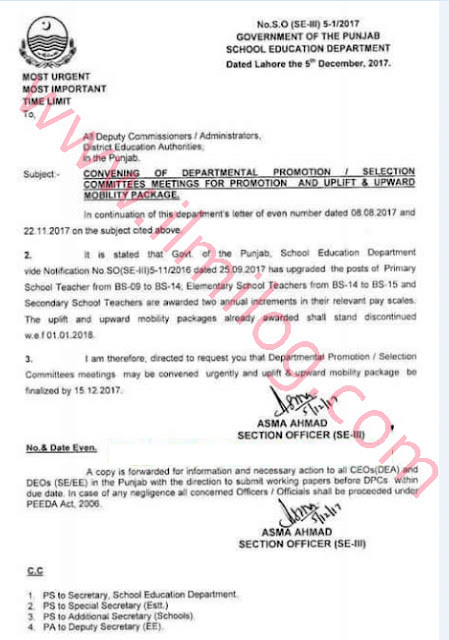 SO(SE-III)5-1/2017 is issued by Government of the Punjab School Education Department dated 05-12-2017 about Departmental Promotion Committee Punjab Schools for elevating and Upward Mobility. 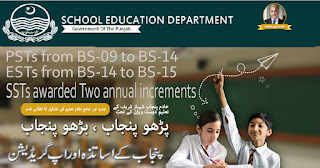 It is submitted to all Deputy Commissioners/Administrators District Education Authorities in Punjab. Subject: Convening of Departmental Promotion Committee Meetings for Promotion and Uplift and Upward Mobility Packages. In continuation of this offices letter of considerably number dated 08-08-2017 and 22-11-2017 regarding the matter referred to above. 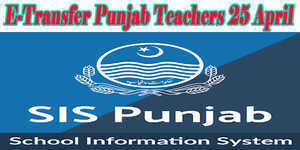 It is expressed the Government of the Punjab School Education Department vide notice No. SO(SE-III)5-1/2016 dated 25-09-2017 has redesigned the post of grade teachers PSTs from BS-09 to BS-14, Elementary School Teachers ESTs BS-14 to BS-15 and Secondary teachers SSTs are granted two yearly augmentations in their pertinent pay scales. The Uplift and Upward Mobility Packages as of now granted should stand ceased w.e.f 01-01-2018. It is along these lines coordinated to ask for you that Departmental Promotion Committee might be gathered critically and Uplift and Upward Mobility Packages be sent by 15-12-2017.